For all those times you just can't get out to the course. Practice with The Floppy and you'll shoot lower scores when it matters. The Floppy® works wonders with your wedges. 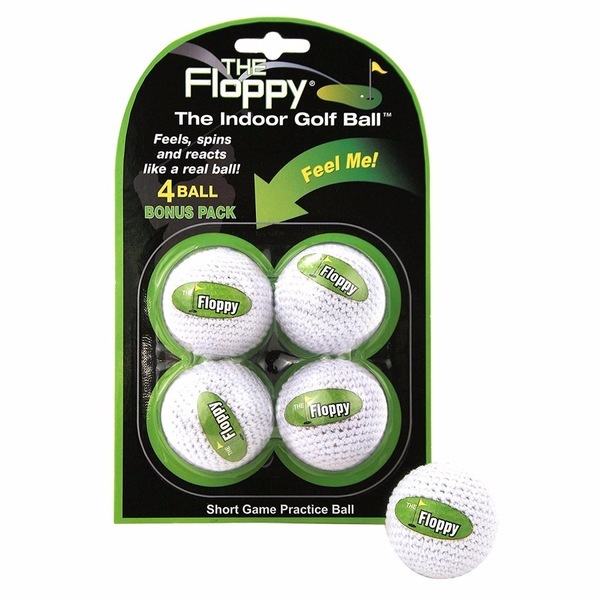 It's great for your touch and feel around the greens and will help improve your chip, pitch and of course, flop shots! "Two thumbs up for The Floppy - the best thing to happen to my short game when I'm gripped by Old Man Winter." "It spins and rolls like a real golf ball, but it doesn't make a hard impact. It's great for practicing your wedges." "To me, The Floppy is one of the best investments a golfer can make. Honestly..."
This is the best thing to happen to my short game, ever!